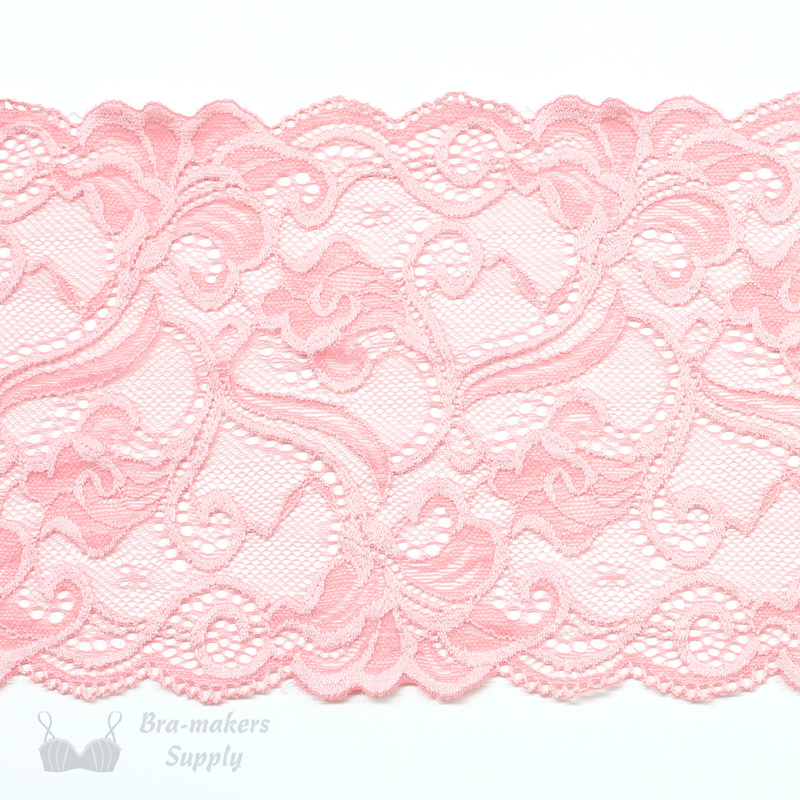 Pink stretch lace, buttery-soft with scalloped edge and pretty rose design. Width: 6ins (15cm). Co-ordinates beautifully with pink, grey or purple duoplex fabric. Please note: the actual colour is a little bit darker than it appears in the pic.